Goodbye Facebook Pages, Hello Reddit! Facebook Page views are drying up and a recently announced Facebook News Feed algorithm change all but guarantees this traffic channel will evaporate for brand accounts. But as one door closes, another opens. I have been on Reddit since 2006 and the most common complaints I hear from many companies and individuals is that Reddit is too hard to participate in, looks too simple, or isn’t friendly to brands. Reddit isn’t harder, it’s more real. If you cannot succeed on Reddit in connecting, discussing, or getting exposure, it’s because you aren’t really making an effort to connect with Redditors. Companies, celebrities, or individuals that are successful on Reddit follow the same principles you need to succeed in any social gathering. Approach Reddit as a place to connect with like-minded individuals. Don’t blast out self-serving messages and hope for some benefit. While Facebook Pages are continuing to become less visible, Reddit continues to grow and evolve. Posting to your own profile. The ability for all subreddits to get to the front page and become popular. The continued growth of the community. Ignoring Reddit for the last five years wasn’t the smartest choice, but continuing to ignore it in the future is just insanity. Where Are Facebook Pages Going? Last year, 94 percent of marketers reported they’re using Facebook to market their business. So there’s a good chance you’re affected by this news. Facebook is looking to decrease the visibility that Pages get in users’ timelines, eventually limiting public content further via the News Feed algorithm or relegating public content to a new, dedicated tab in the Facebook interface. Think about how you use your personal Facebook account. Facebook is the social network where family and friends go to stay connected. The change to the News Feed algorithm is the final nail in the coffin of organic Facebook marketing as page views across the network have been dropping for years. Just as marketers are facing decreased organic visibility in Facebook, Reddit is rolling out a fresh new design and interactive new features that borrow from the conventions we’re used to from other social channels while offering unique advantages of a highly engaged community of users keen to learn. If Facebook isn’t forcing your hand, it’s certainly handing you an invitation to give Reddit a shot. What Are Reddit Profile Pages? Reddit is stepping into the void that Facebook is leaving open. 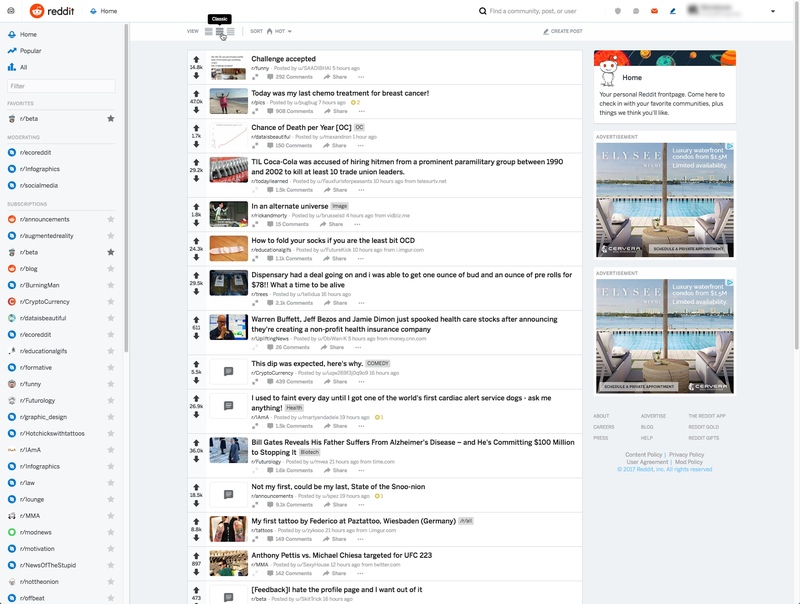 Reddit has rolled out a redesign to the way users can establish a profile page on the site. 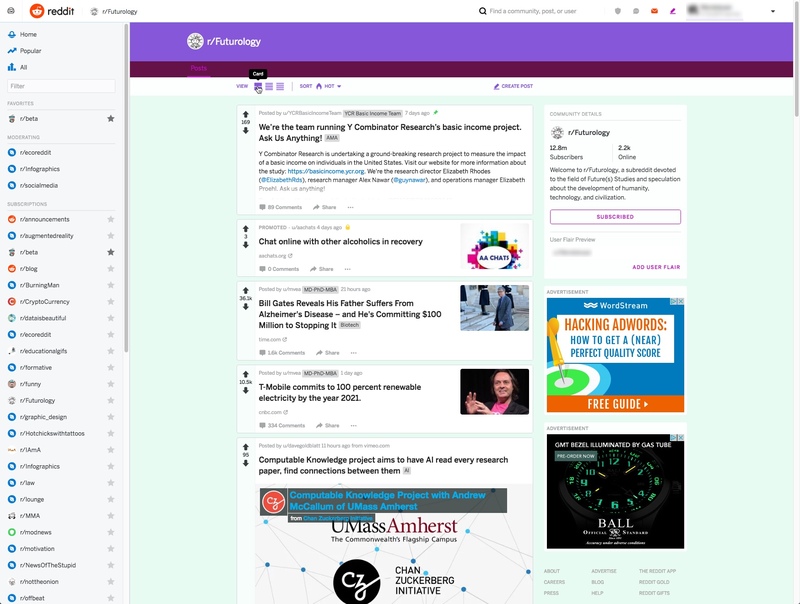 This is in addition to the current functionality where content is posted to theme-based subreddit communities. With profile pages, users submit content to their own profile pages. And users can follow profiles to see that profile content added to their front page, or aggregated feed view. With profile pages, businesses can essentially start building branded accounts, growing followers, and achieving goals similar to what Facebook Pages have provided, maybe with an even better and more engaged audience. Brands on Reddit with profile pages include Audi Sport USA, WWE, and Nintendo of America. Here’s Nintendo of America’s profile page. Facebook, Twitter, Instagram, and Pinterest each captivated marketers’ attention over the years, passing the baton as social media’s latest shiny new object. Not long ago we heard that Pinterest was an amazing traffic driver. What about now? Similarly, Twitter was the hot thing for a while. Now only a handful of marketers are active there. Facebook has been the 800-pound gorilla, but now Pages views are declining. Where social has largely been driven by hype, Reddit has demonstrated real ROI when you put in the investment. Reddit is where your target audience has always been and its growing. Check out the growth of unique visitors and page views. Reddit users have a median household income higher than the average in the U.S. at nearly $68,000 a year, compared to $59,000 a year. That means Reddit users have bigger discretionary spending budgets. They’re well-educated as a group, with 78 percent claiming college education – compared to the third of Americans with a bachelor’s degree. Nearly two-thirds of Reddit users are looking for news when they come to the site. That makes Reddit the dominant social site for users looking to learn and engage in debate. In the last few years, we’ve seen five key thrusts on Reddit that show how it is evolving to hold a bright future for brands. 1. The 10% self-promotion guideline was relaxed last year. There was a rule of thumb on Reddit that you should limit your posts from your own site to 10 percent or less. During an AMA (Ask Me Anything) last year, Reddit CEO Steve Hoffman suggested that the 10 percent rule may not make sense anymore. Rather than blind adherence to numbers, Reddit asks users to provide quality 100 percent of the time, over anything else. Obviously this opens the door to the presence of businesses. 2. Time a post waits in moderation is way down. There was a time when the majority of subreddits put a moderation period on all posts before a human moderator released a post for public viewing. Moderation on posts happened roughly 70 percent of the time – users would have to message mods to release a post. Now 90 percent of content is going live without moderation; moderators are more likely to get involved if they’re removing a post. That’s a shift that, to me, says that Reddit will trust until you prove you’re untrustworthy. 3. We’ve seen more acceptance of brands moving onto Reddit. Brands can be active on Reddit as long as the interactions are meaningful. Reddit isn’t anti-marketing and it’s understood that every company needs to make a buck. What matters is the way you manage yourself there. 4. The new peer-to-peer real-time chat allow more interactions. On top of other named changes, Reddit created a real-time chat function on the site. Now you can reach out and talk to multiple people. This provides options for more interaction with other users. Reddit is open to adding social functionality and to enable direct engagements – an environment that any marketer would jump to. 5. The new profile pages give users’ enhanced flexibility to post what they want. If you’re one of the ~400 million active monthly users on Reddit today, you might be wondering how all these changes affect the way you use the site. Profile pages won’t change the way you interact with Reddit at all. As usual, follow or subscribe to what you like. Unfollow what you don’t like. The enhancement here is that the new profile pages fix an old problem that Reddit had. When users can submit to their own profile, the user don’t have to follow anyone’s rules. When you submit to your own profile, people following you can see your content in their feed. In effect, Reddit has created a function that allows users to follow brands. And, if popular, that content can show up in r/all. 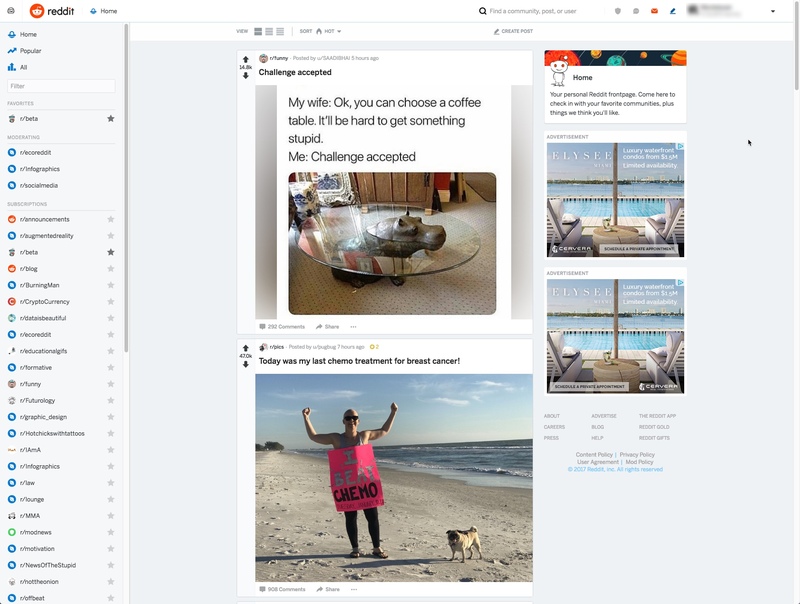 The new profile pages for Reddit users is available now. Just as Facebook Pages are losing traction, Reddit profiles will give brands and organizations a new managed presence on a highly engaged social platform. Reddit has a reputation among digital marketers as being a difficult social media channel for businesses to figure out. But let me ask you this: are thousands of visitors to your site, branding, conversions, links or subscriptions to your list outcomes that are worth your time? The key to succeeding on Reddit is about really becoming a Redditor, not gaming or spamming, and realizing that Reddit is the community you want to get in front of and be a part of. Here are some tips from a presentation I did to help you get started. In-post Image #1: Created by Statista. Managing Partner at Search Engine Journal and a Digital Marketing Consultant, providing consulting, training, and coaching services at an hourly rate.